The "5G university" is the latest effort made by domestic telecom operators to set up their 5G test zones. China Mobile on February 18 turned the Shanghai Hongqiao Railway Station into a "5G railway station" by building an ultra-fast 5G network there. 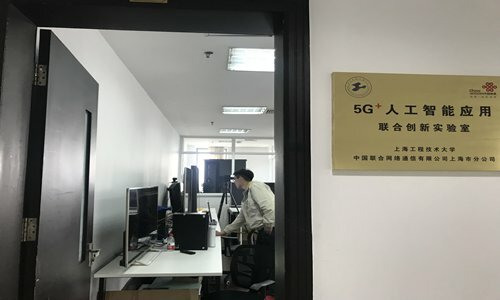 "The government has not issued any temporary or permanent 5G licenses to domestic telecom operators, which would allow them to put 5G systems into large-scale commercial use. Besides, no 5G mobile phones are on the market yet," domestic telecom expert Xiang Ligang told the Global Times. "Once 5G is put into large-scale commercial use in China, its applications will largely change people's lives. For example, there may be autonomous driving delivery vehicles with the help of 5G networks, which might replace the numerous couriers we see nowadays," Xiang said.